Restaurant business in Moscow is experiencing great growth, especially those with natural organic food. Therefore, it was decided to expand our working model in green business to raise additional funds. We are accomplishing this by launching a Token Sale using crypto-currency and blockchain technology. 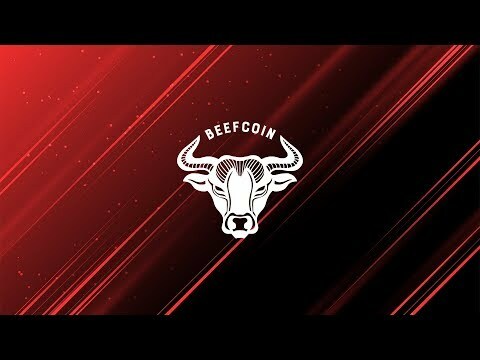 Tokens will be issued with name BeefCoin (BEEF). There will also be bonus tokens with name BeefGold. Fair to good all around. This is a pure business investment token - a business raising money using tokens to track investment and maybe pay back. There is no need for it to be on the blockchain beyond given the company access to remote money with fewer strings attached. If you are in the USA and many other countries you are not technically eligible to buy it - the USA would count it as a SEC regulated investment asset and they would be breaking the law. While the goal of bringing more organic beef to the market in Russia is a laudable one I see no reason for anyone else to buy this token. It's a small scale operation and if you never get your money back you have zero guarantee beyond going to Russia and taking legal action. If you're friends and family of the team you may have more insight and faith in the likelihood and execution and payback. For everyone else my motto is "Don't invest more than you can afford to lose".